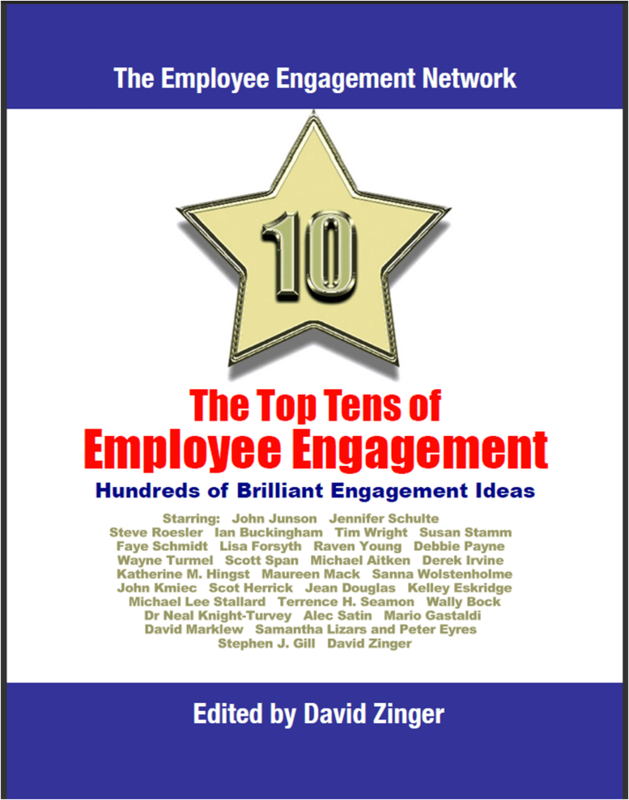 The Employee Engagement Network is releasing a new e-book: The Top Tens of Employee Engagement. This 95 page book is loaded with hundreds of brilliant engagement ideas from 32 different contributors. It will be released Thursday July 22. Click on the cover to see a larger version of the cover with the names of all the contributors.